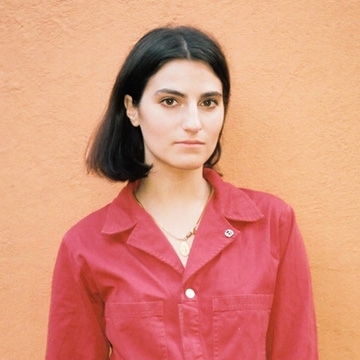 American Musican Mattiel Brown grew up on a five-acre farm in rural Brooks, Georgia, As an adolescent, Brown delighted in the ‘60s folk and pop of her mother’s limited vinyl collection: Donovan, Peter Paul and Mary, and Joan Baez. As an adult, relocated in neighbouring Atlanta, she’d sing along to the radio on the long drives to work: Screamin’ Jay Hawkins, Andre 3000, Dylan, Marc Bolan, Sister Rosetta Tharpe, and Jack White. Mattiel’s sound might borrow from the past, but their art direction - Brown’s inspiring handiwork, of course – is decidedly forward-thinking, all colour block aesthetics (á la the White Stripes) and artful, design-savvy music videos.